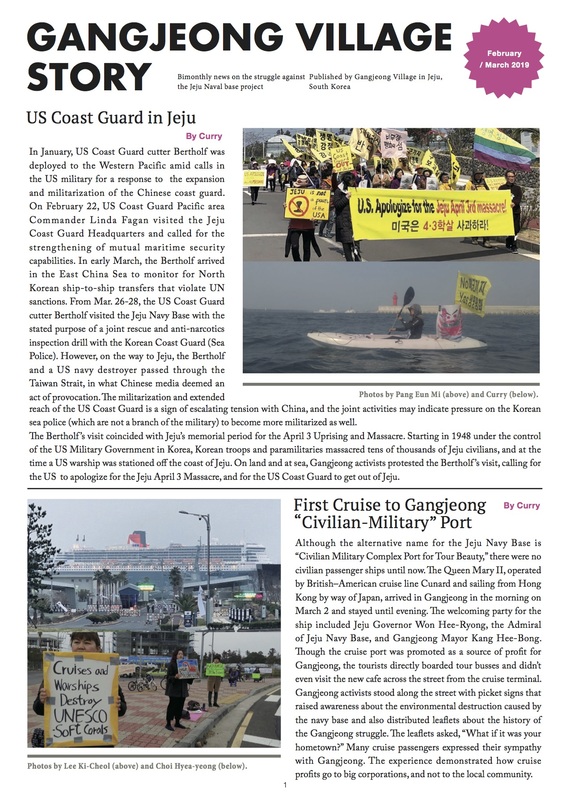 During 2010 and 2011, Sesarma intermedium (estuary crab), Caridina denticulata keunbaei (Jeju freshwater shrimp), and Kaloula borealis (boreal digging frog) were all relocated to three different sites from the navy base construction site in Gangjeong-dong Village, Seoqwipo City, Jeju Island, South Korea. Further investigations were carried outindependently by Endangered Species International (ESI) during August 2012 to assess the habitat and relocation of these three endangered species. Findings from the habitat and species relocation assessments show failed relocation for the endangered K. borealis where all breeding frogs were left on site andonly tadpoles were removed. The released tadpoles are thought to have a low survival rate due to the presence of potential predators. Monitoring for K. borealis should have been conducted just after the release event in August 2011 but only started in part during 2012. Early observations of larval growth and development stages to metamorphosis were therefore not recorded. Finally, the lack of transparency from the government and those conducting monitoring activities preclude the need for adequate independent monitoring of the boreal frog relocation. 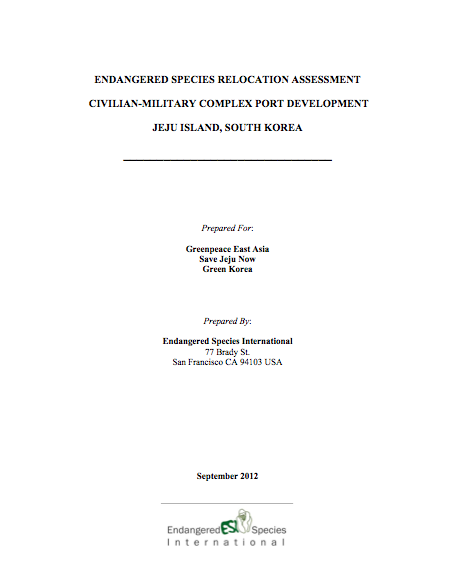 The relocation of the C. denticulata keunbaei was incomplete, as a population still remained on site. Further, 5,300 shrimps were released downstream along Gangjeong Creekwhere a population of C. denticulata keunbaei had already been established. This increased the risk of surpassing the carrying capacity of this area. Shrimps should have been released at other alternative suitable sites to increase the chance of their survival. Since no further monitoring is possible for shrimps, thesuccess of their relocation will remain unknown. The endangered S. intermedium was released along Gangjeong Creek,but this area was later impacted by human activities. Suitable habitat protection was therefore not provided as stated in the relocation report as allrelocation sites should have been protected to allow for successful survival and establishmentof the species. Immediate measures are urgently needed to insure survival of the three relocated species. 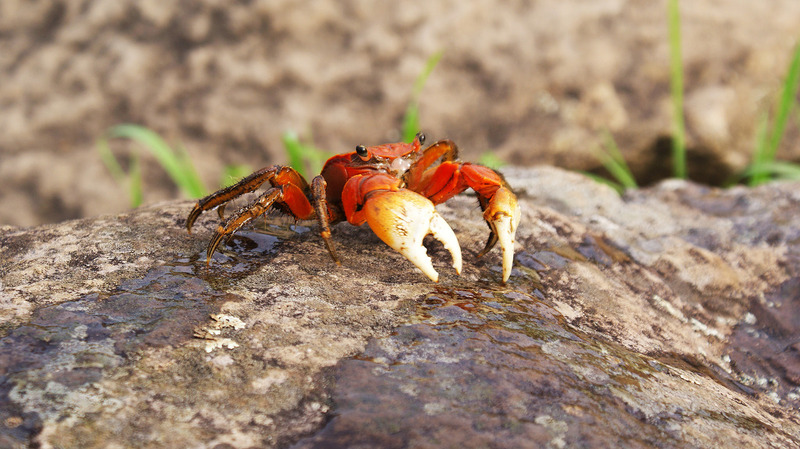 Since a population of endangered K. borealis and C. denticulata keunbaei remain on site it is essential to stop construction activities until the frogs and shrimps are removed using appropriate survey method. The population should then continue to be independently monitored. Further important measures and recommendations are included in this report.